YogaLeela offers a range of yoga classes including studio/gym classes, events, and private tuition. We also host workshops, retreats, corporate yoga and give lectures on mindfulness and how to manage stress. We all want to be able to handle everyday challenges, right? And perhaps remember to breathe while we’re in it and grow from our experiences? That’s YogaLeela’s purpose, to strengthen your body and mind through yoga, and help bring all these qualities into your everyday life. Simply: Yoga IRL: In Real Life. 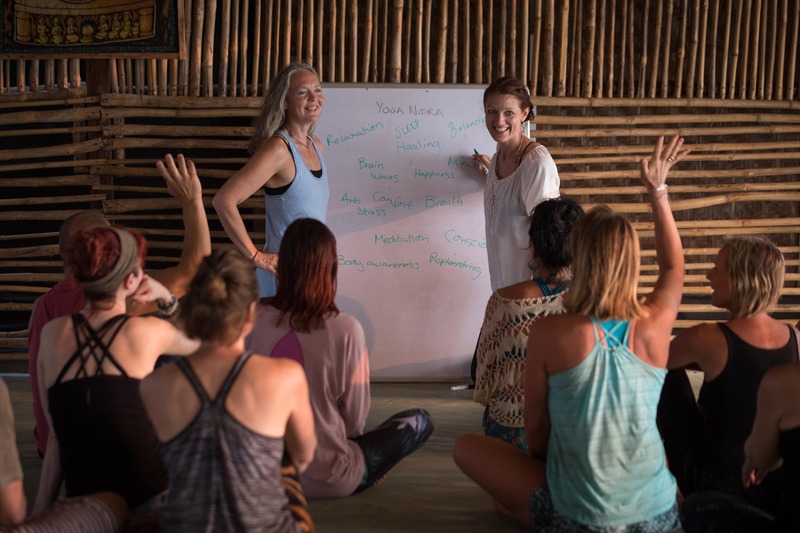 We offer a comprehensive range of yoga styles: Virya yoga, Ashtanga vinyasa, Anusara yoga inspired, Vinyasa Flow, Meditation & Pranayama, Mindfulness, Yin yoga, Restorative yoga – but what’s most important to us is to sensitively adjust each session to every individual and make it all very accessible, strengthening and inspiring. Regular classes in Sweden: mainly in Stockholm: YogaShakti (Södermalm), Bara Yoga (Aspudden), Urban Om (City) and Studio Karma (Norrtälje).